Outdoor Solar Powered Flating Lily Flower Water fountain | Fountain City Art Ctr. 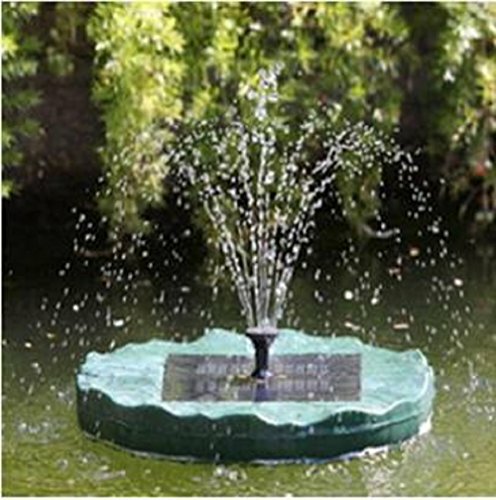 Outdoor Solar Powered Flating Lily Flower Water fountain by Onlinez Trading at Fountain City Art Ctr.. MPN: APP005B. Hurry! Limited time offer. Offer valid only while supplies last. Material: ABS Plastic lily pad. This floating lily pad fountain needs no plumbing or wiring. Just place it on the water's surface to add the delightful sight and sound of trickling water to your garden pond. Maximum height of spray is up to 11.81". Lily pad is sturdy resin, for years of use. Water lift (Jet Height): Max. 11.81" inches. If you have any questions about this product by Onlinez Trading, contact us by completing and submitting the form below. If you are looking for a specif part number, please include it with your message.